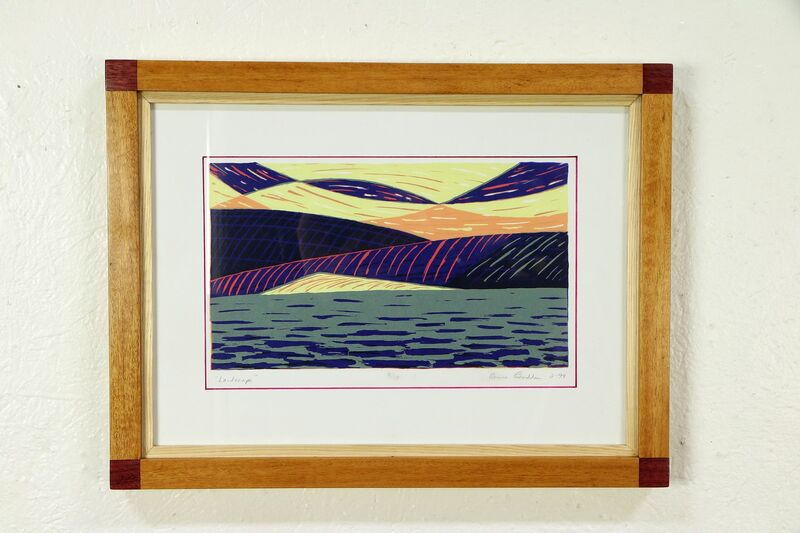 A "serigraph" or silk screen print of rolling hills is number 8 of 15, signed by the Wisconsin artist, "Bruce Bodden, Feb. 1994." The landscape view depicts the Kettle Moraine area near Kewaskum, WI. The artist created the custom mat and frame of tiger wood, hickory, purple hear and ash hardwoods. Overall size is 18" x 14" and 1" deep.